Unless you are a dominate team, it's best to build momentum and peak come Tournament time. Of course, that's easier said than done. Definite weakness of this team. Our undersized (guard dominate offense) is very susceptible on poor shooting nights (with little offensive rebounds for second chance points). Peaked too early (like the football team)? 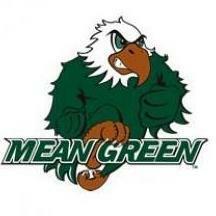 Wake up Mean Green! With the parity in the league this year, you could be dominating the standings! Well. That sucked. Horrible officiating! I just threw up in my mouth at the thought of losing to these guys! Dang! 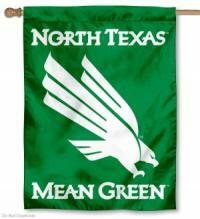 Let's Go Mean Green! Is there a preferred link for the fans to purchase CUSA Tournament tickets? Personally, I've always liked the Super Pit. The venue (while outdated) still is impressive when compared to most schools. I have so many memories here (like I'm sure others do in the Snake Pit). Out of the many memories, some of the funniest come to mind. Anyone else remember the late 80's games with the Poster Guys (distracting opposing free throw shooters behind the basket) and Sidney Bradford barking behind the visitor's bench? In response to #3, my freshman year (1987-1988) we hosted the Sunbelt Conference Tournament and played in the championship game (live on ESPN). The Super Pit was very close to full that night and it was extremely loud! We won the conference championship and went on to play North Carolina in the opening round of the NCAA Tournament. Light the tower! 65-62 Mean Green!